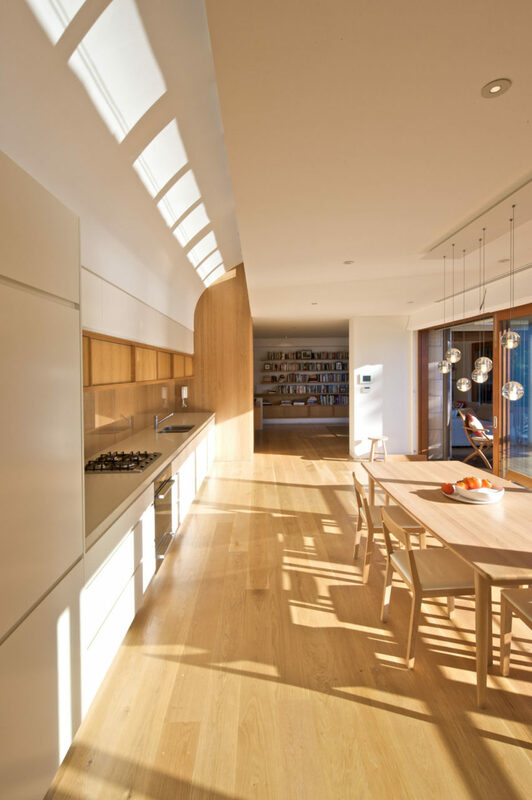 Double Bay House is a project designed by TKD Architects. It is located in Double Bay, a harbourside eastern suburb of Sydney, in the state of New South Wales, Australia. 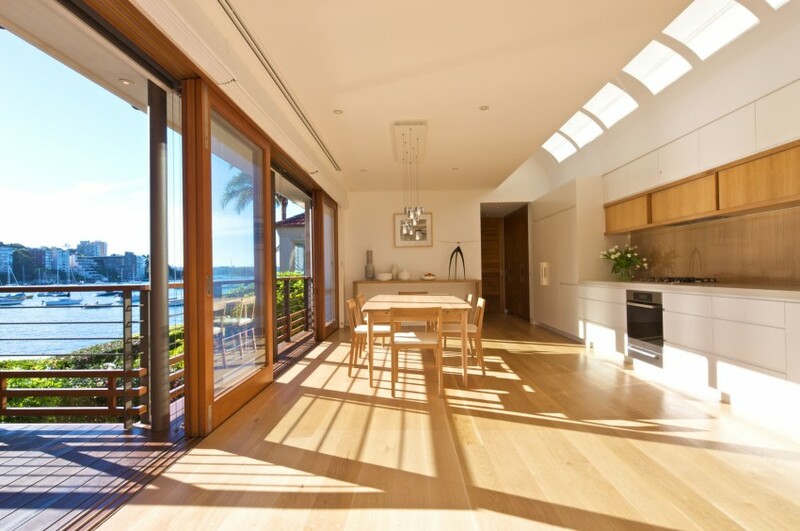 “The existing house was purchased by the clients as a balance between a coastal aspect and the urban life of Double Bay. 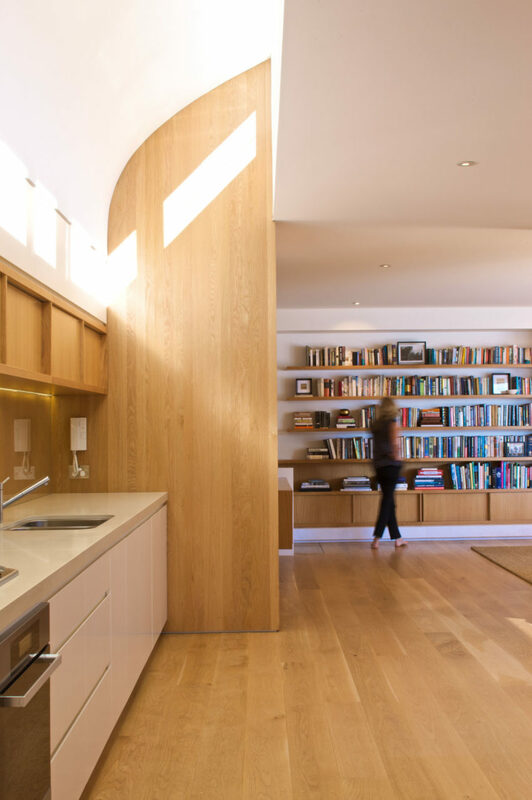 The primary goal was to open-up the living spaces as well as turning the existing planning on its head by placing bedrooms downstairs and kitchen and living space upstairs where there was potential for stunning light and views. There was also a desire that the house sit comfortably in the street and present as a classic house of the area utilising quality, natural materials such as sandstone and slate. 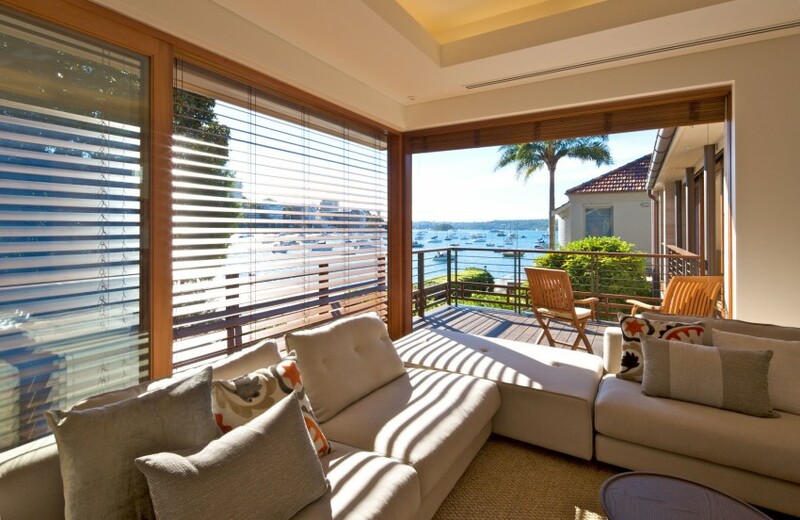 Sliding timber doors were introduced which wrap around the harbourside facades, and on the upper level these open onto a continuous timber balcony which highlights the horizontal lines and expands the depth of the rooms on this narrow site. 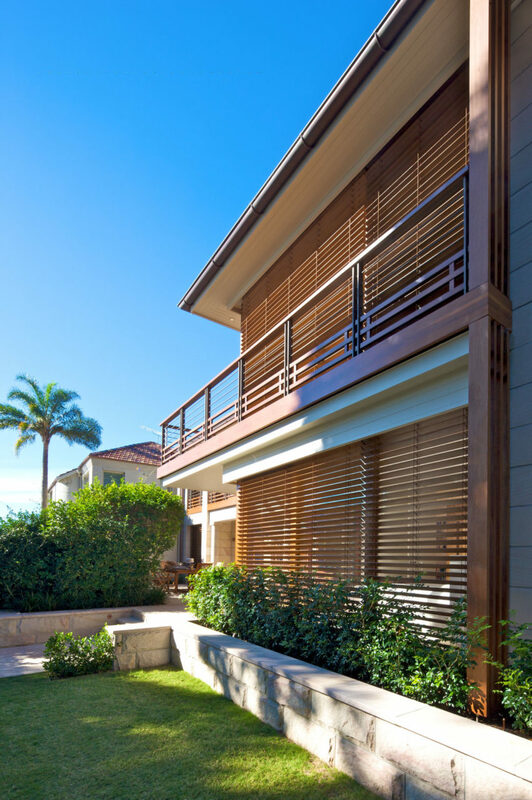 The balcony balustrade uses timber battens at a lower level to provide greater privacy from the street with a more open design above to maintain the harbour views. The design of the balustrade, doors, screens and thresholds were all influenced by the client’s and architect’s shared enthusiasm for the traditional houses of Japan.